Last post about chicken, I promise(well, for this week anyway). While chicken with dumplings is delicious comfort food, when the weather gets warmer sometimes I want something different. 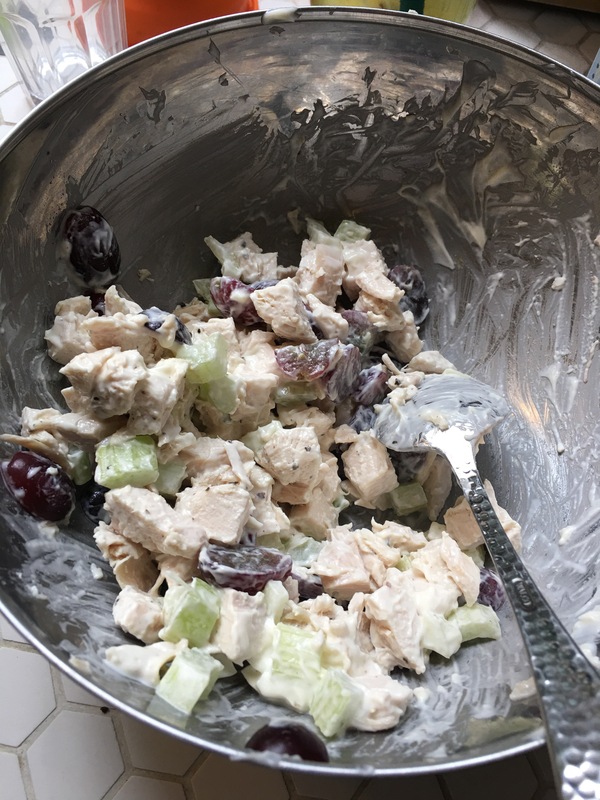 My dad was the master of chicken salad- after we had roast chicken, I could always find him in the kitchen, picking every last bit of good meat off the bones and then dicing them extra small with tiny cubes of celery for the next day’s lunch of chicken salad. It seems like something anyone who has had leftover chicken probably knows how to make, but I bet everyone does it a little different, so I’ll share my favorite(and maybe if you have favorite additions, you can share them in the comments). Leftover chicken, cut into 1″ ish chunks- I prefer to use just the white meat but do what you like. 1 tart green apple or a handful of grapes, apple cored and diced small, grapes halved or quartered if extremely large. 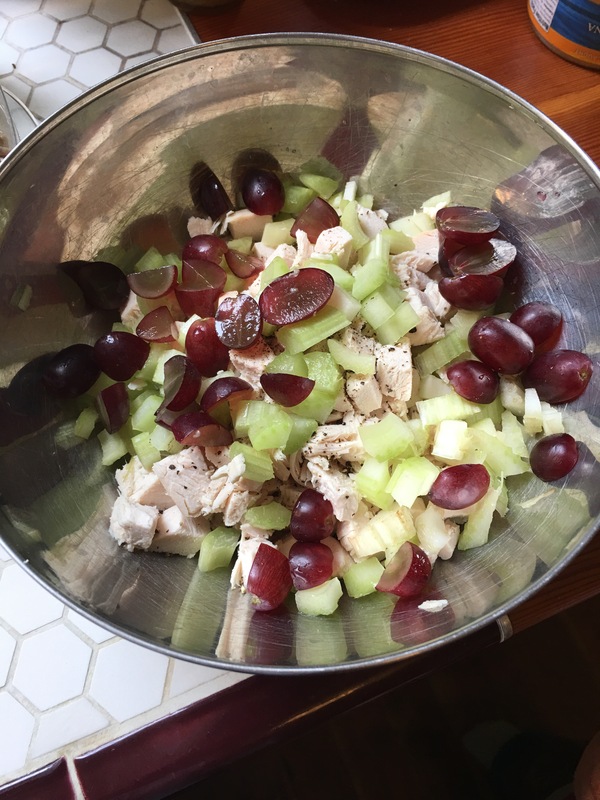 Place chicken, celery, and apples and/or grapes in a bowl. Sprinkle salt and generous grinds of pepper. Plop in your mayonnaise and stir it all together. Taste to see if it needs more salt or pepper or mayo. I like to make a big bed of greens, put on a nice scoop of this and drizzle with balsamic vinaigrette. It is also yummy on toasted raisin bread! My Mom makes pretty much this exact chicken salad – I love it! We buy the cooked chickens form the grocery stores in a pinch. Grapes are awesome in it.